Chaminade’s Speech and Debate team, led by Bro. John McGrory S.M. ’84 traveled to Yale University on Friday, September 18 for the first tournament of the season. The team did extremely well during the three-day tournament, thanks to amazing performances by two semifinalists, a quarterfinalist, and the rest of the team. 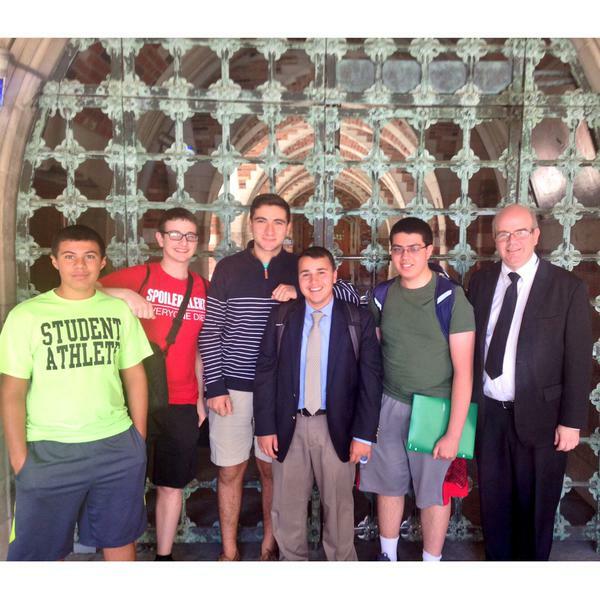 (l.-r.) Daniel Hepworth ’18, Anthonthy Miraglia ’16, Peter Charalambous ’16, John Michael Magloire ’18, Edward Doran ‘ 18, and Bro. John McGrory S.M. ’84 pose for a photo after John Michael won his octo-final round. John Kieran Larkin ’16 advanced to the semifinal rounds for both Dramatic Interpretation and Oral Interpretation. “It’s great to see the team perform exceptionally well on the national level, and the whole team is glad to have started the season so strongly,” said John Kieran. In addition to John Kieran’s exceptional performance in Dramatic Interpretation, a tremendous effort by Philip Dunne ’17 earned him a spot in the quarterfinal round for Dramatic Interpretation. Chaminade also fared well in Lincoln Douglas Debates. Anthony Miraglia ’16 and Douglas Macias ’16 presented well at the Varsity level, while sophomores Kevin Barrett, Daniel Hepworth, and semifinalist John Michael Magloire demonstrated their prowess at the Junior Varsity division. “As a team we had an excellent performance with many speakers and debaters making it far into the elimination round,” said John Michael. 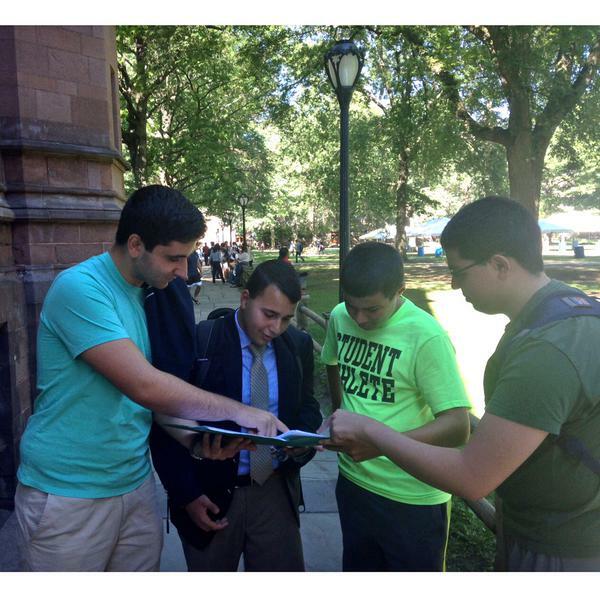 (l.-r.) Peter Charalambous ’16, Daniel Hepwroth ’18, and Edward Doran ’18 help John Michael Magloire ’18 (second from l.) prepare for his semi-final round.